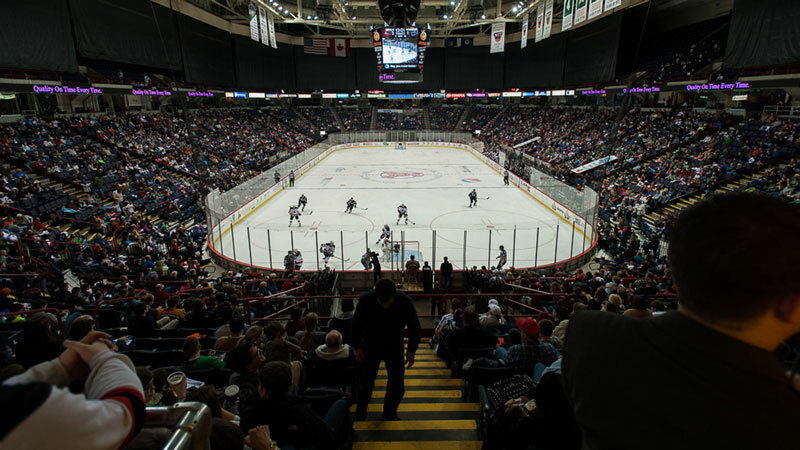 Owned by Albany County and operated by SMG, the world’s largest private management firm for public assembly facilities, the Times Union Center has an adaptable seating capacity between 6,000 and 17,500. Since Frank Sinatra christened the building on January 30, 1990, more than seven million patrons have walked through the turnstiles. 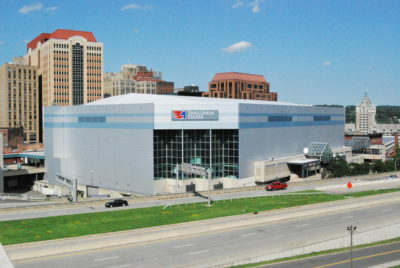 As a multi-purpose facility, the Times Union Center has hosted a variety of events, including concerts, family shows and sporting events, averaging 165 events each year. 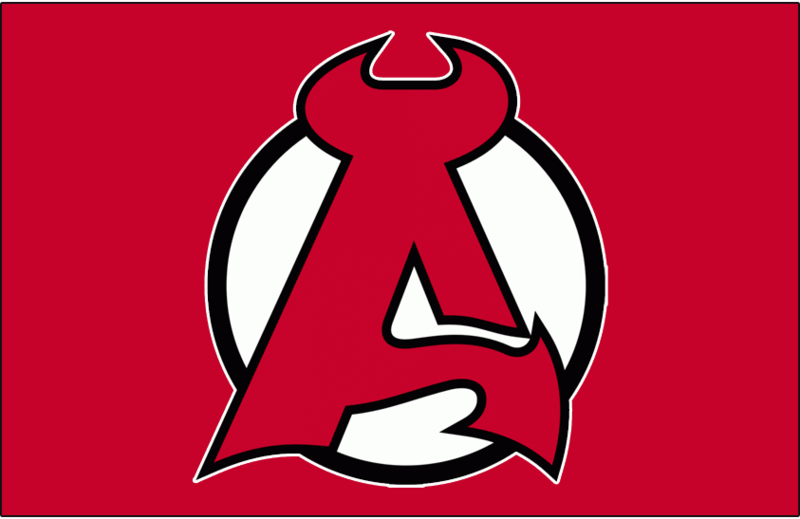 On April 24th, 2008 the longest hockey game in the 72 year history of AHL Hockey took place at Times Union Center. The marathon lasted 5 hours, 38 minutes & 36 seconds as the Philadelphia Phantoms outlasted the Albany River Rats 3 – 2. In the process, River Rats goaltender Michael Leighton set a modern day record by making an astounding 98 saves!